Provide comfort for the family of Maudie Bost with a meaningful gesture of sympathy. Ms. Maudie Marie Bost, age 93 passed away peacefully on Friday, April 12, 2019 at Transitional Healthcare. The family will receive friends from 3 to 4 PM Monday, April 15 at Wilkinson Funeral Home. A funeral service will be held in the chapel at 4 PM with Rev. Robert Jackson officiating. Burial will follow at Oakwood Cemetery. Mrs. Bost was born June 22, 1925 in Cabarrus County, a daughter of the late John W. and Lydia Shoe Bost. She was also preceded in death by a son, Timothy Bundy. Maudie retired from Cannon Mills, Plant #9 and was a member of Word of Faith Church. She will be dearly missed by her family and friends. Those left to cherish her memory are her son, Barry Bost and wife, Bonnie of Kannapolis; grandchildren, Angela Barnard, Kellie Cain and husband John, and Melanie Chmiel; 4 great-grandchildren. To send flowers in memory of Maudie Marie Bost, please visit our Heartfelt Sympathies Store. We encourage you to share your most beloved memories of Maudie here, so that the family and other loved ones can always see it. You can upload cherished photographs, or share your favorite stories, and can even comment on those shared by others. Provide comfort for the family of Maudie Marie Bost by sending flowers. 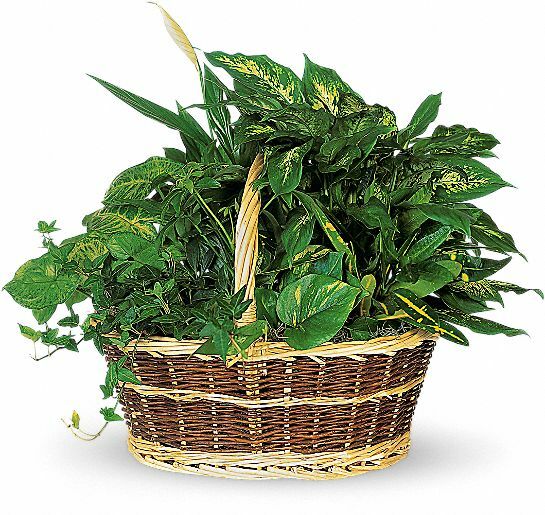 Heartfelt Sympathies Store purchased the Large Basket Garden for the family of Maudie Bost.